Happy Hanukkah! This is the Jewish holiday celebrated worldwide in December each year, which marks the anniversary of a military victory about 2100 years ago. The occupier of the land of Israel then was a Syrian Greek king named Antiochus the Fourth. He was not good for the Jews, and even went so far as to outlaw the Jewish religion. He ordered us Jews to worship Greek gods. In the year 168 B.C., his soldiers massacred hundreds of people in Jerusalem and desecrated the holy Temple. They built an altar to Zeus and sacrificed pigs on it. The story goes that one man, Mattathias Maccabee, and his five sons rose up in a little village named Modi’in, and called on the Jewish people to join them against Antiochus. Their call was successful, as many joined in the fight. Mattathias died a couple years later, and his son Judah Maccabee took over, and finished the recapture of Jerusalem. When they entered the holy Temple, they found the desecration overwhelming. They rededicated the place to the Lord, and celebrated for 8 days. They probably were celebrating Sukkot, a Jewish holiday they could not practice during the final stages of the war against the Syrians a few months earlier. The word ‘dedication’ is the Hebrew word “Hanukkah”, so when we celebrate Hanukkah, we are celebrating the dedication of the holy Temple 2100 years ago, and for messianic Jews, we are dedicating ourselves again and again to the Living God and to His plan, who loves all people in December, and throughout our days. Happy Hanukkah! What is the meaning of the Menorah? 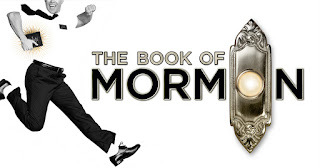 The Bible describes a lampstand (Exodus 25.31-34) that was in use in the Holy Temple about 2000 years ago. It had seven branches and was lit with oil. So, the modern Menorah is similar, but not the same as that one. 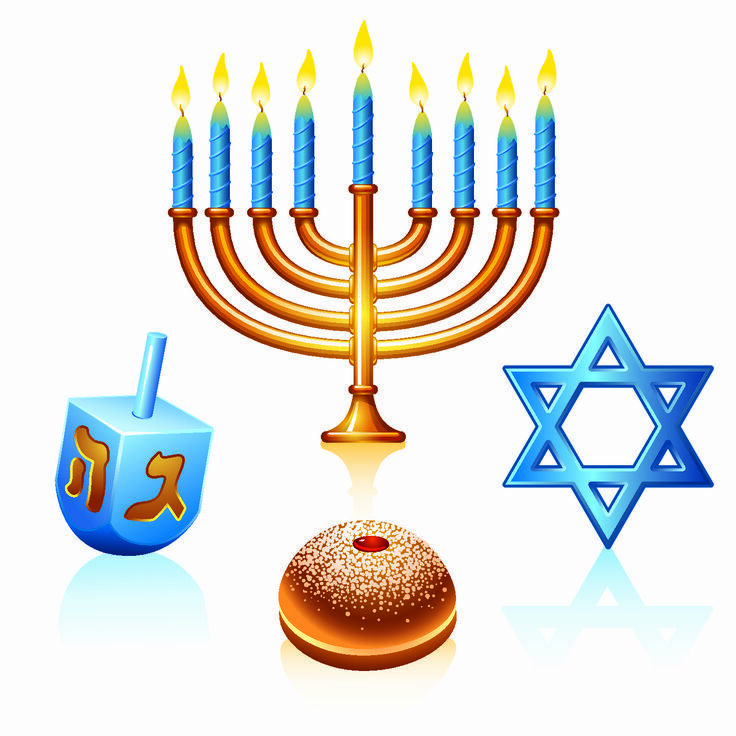 We use nine branches in the modern menorah, which many title a Hanukkiah. The legend of Hanukkah is retold that when the Maccabees entered the Holy Temple and sought to ready it for regular use again, they found only one small jar of oil that had been prepared. This jar would have been enough to burn for only one day, but amazingly the little amount lasted for 8 days. So that’s why some people celebrate the holiday for 8 days. But why 9 branches then? The ninth candle is a servant candle, which is used to light the others in turn. The menorah in Bible days was a reminder of God’s light being given to all people, representing His knowledge, His presence, and His glory. Yeshua, our Messiah, and the Servant of the Lord, declared Himself to be the “Light of the World” in Jerusalem, and we as Messianic Jews agree. Happy Hanukkah! Today when we say ‘holiday celebrations’, we often think of foods, greeting cards and family gatherings, as in celebrating Thanksgiving or Mother’s Day. It’s unfair to link this to the same in ancient Israelite practices. That said, the use of Hanukkah as a marker in the Scriptures is clear. Remember the Older Testament ends before Hanukkah had even taken place. Hanukkah marks a military victory in 165 BCE. Did Yeshua celebrate Hanukkah? Let’s just say he noticed it, was in the right place to observe it with the Jewish people, and used the occasion to declare Himself the Light of the World and Messiah of Israel. What do you think about that? Have a happy Hanukkah. Is Hanukkah a Biblical Feast? 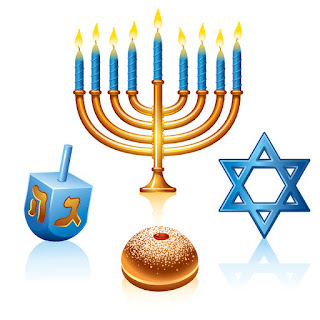 Neither the word, nor the holiday Hanukkah is found in the record of the Older Testament, since the canon, the official collection of what is in the Scriptures, was closed before the military victory of the Maccabees occurred. So, the Jewish Bible, the one Yeshua read, has no mention of the story of Antiochus and the Syrian Greeks, of Judah Maccabee and the few beating up on the many. 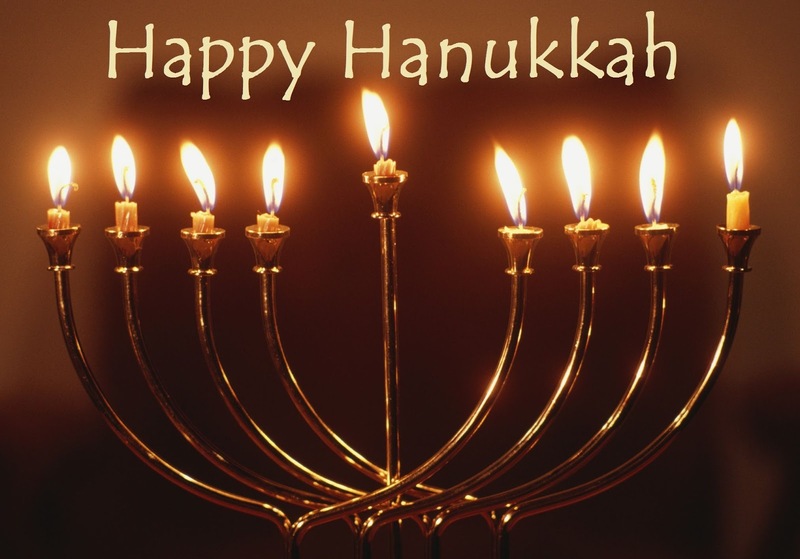 The story of Hanukkah is similar to the story of David and Goliath. That the Newer Testament mentions the holiday (John 10.22) as a marker of a time when Yeshua was in the precinct of the Holy Temple is significant. But most non-Jewish Christians don’t celebrate Hanukkah at all. Many Jewish believers in Jesus do celebrate the holiday in measure, that is, in some form or another. Whether with dreidels or latkes, with sufganiyot or family gatherings, Hanukkah is a great time of year to remind ourselves of God, and of His love for us. Is there a Messianic significance to Hanukkah? There is no prophetic significance about a coming messiah from the annals of the Jewish people and the holiday of Hanukkah. It is a great time of year, in Israel when the weather is getting colder, and in Russia, Europe and North America, as a sort of answer to all the glitter and merriment of Christmas. In the Southern hemisphere when the weather is warming and summer approaching, the joy of that season is great, but again, nothing is messianic about this holiday. 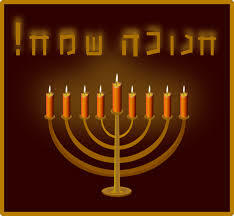 That said, however, the Messiah did proclaim Himself as deity on Hanukkah. (John 10.30) That proclamation was in direct answer to some Jewish leaders who wanted to know what Yeshua was saying of Himself. On that occasion, in the precinct of the Holy Temple, Yeshua identified Himself as equal with the Father God. What is your reaction to the claim—Yeshua claimed to be deity. What do you think about that? Happy Hanukkah! Is there any connection between Hanukkah and Christmas? The only real connection is the calendar-sharing between the two holidays. Before 1930, the commercialism and consumerism which drives the Christmas season and gift purchasing in these days was not known. I know, it’s hard to imagine a year when we don’t see Christmas glitter and sale items beginning in October in your favorite stores, but before the turn of the 20th century, Christmas was a quiet, at home, or at church, holy day. In 1930 or so, when Coca Cola began in their advertising, using a department store Santa in a red suit, the Christmas we know in these days was born. As a direct result, Jewish families, who were left out of the traditional Christmas because of religious convictions, created a new Hanukkah, with increased gift giving and decorations which would have been completely unknown 100 years earlier. But the only real connection between Christmas and Hanukkah is that Yeshua, the Light of the World, whose birth was trumpeted by angels and shepherds and wise men 2000 years ago, may not have been born were it not for Hanukkah. If Antiochus and any other evil anti-Semitic king had been successful in wiping out the Jewish people, then there would be no Christmas. After all, Christmas is a Jewish holiday. It’s the celebration of the birth of the greatest Jew who ever lived. Who do you think Jesus is? Have a happy Hanukkah! Can our family celebrate both Hanukkah and Christmas? So many families today are blends of races or religions, of step-children and 2nd partners, that it’s often hard to keep track of traditions and compatibilities. At this time of year, when people of faith want to lock into history and future, we heartily recommend an honest celebration of holidays. If your family is composed of someone Jewish and someone Christian, perhaps a mutual joint celebration of each, in the integrity of each holiday would be warranted. 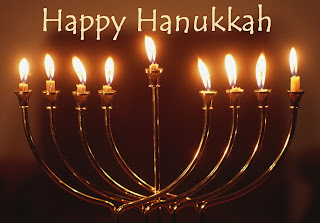 For Jewish people, Hanukkah is the story of God delivering us from evil and oppression. We were freed to practice our religion however we saw fit. According to the Bible, Christmas, or the birth of Yeshua, celebrates the deliverance of all people from sin, and its power to oppress and dominate us. Both holidays are about freedom and about God. Don’t blur them into being neither fish nor fowl. What I mean is don’t use a Christmukah bush or something which would demean both holidays of their deeper meaning. Let Hanukkah talk about God; let Christmas talk to you about the birth of the King of Israel. Who says this is a miracle?